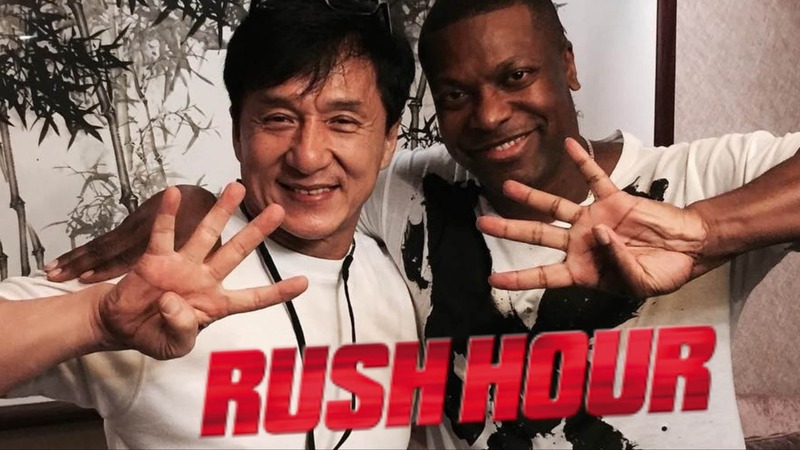 Home Chris Tucker Jackie Chan & Chris Tucker Announce ‘Rush Hour 4’? Earlier today Chris Tucker posted an all but cryptic image of himself and Jackie Chan, posted on his Instagram. The image shows himself and Jackie Chan holding up four fingers hinting that there are plans for a yet to be announced Rush Hour 4. Although there have been rumors circulating over the last few years, this is the first instance of any hard evidence of another sequel that has made headlines. The original Rush Hour opened on September 18th 1998. The film was made for just $33 million, bringing in worldwide a box office total of $244 million, making it a success. A few years later in 2001, Rush Hour 2 hit the screens bringing a total of $347 million worldwide, making it ranked the 5th highest grossing movie in 2001. Six years later, Rush Hour 3 was released to not such positive reception. That third installment only brought in $258 million at the global box office, on a huge $140 million dollar budget. With the news of Rush Hour 4 potentially becoming a reality, fans are both excited and nervous due to the reception of the last film in the series. Having the news of a fourth movie 12 years years later may concern some fans of other Comedies that have had sequels with a decade in between the films. But either way it’s exciting to see these two incredibly funny actors on screen getting into hilarious adventures. No other news is know on a production schedule or even a release date of the film. All three Rush Hour films are available on Blu-ray, DVD, and Digital.